MaryAnn Molloy is the founder of Fierce, Fit & Over 50, a lifestyle, fitness and wellness consultant focusing on women over 50. Through her previous fitness businesses she has helped improve the health and lives of thousand of women. 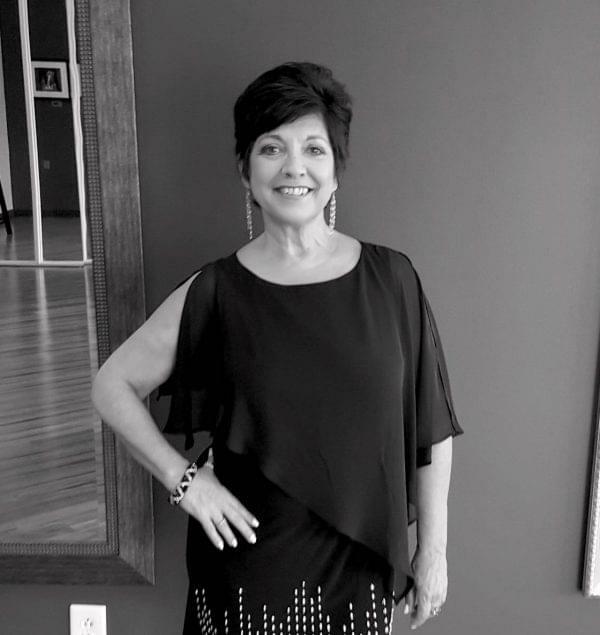 MaryAnn has always had a passion for anything involving movement and her latest passion and venture is ballroom dancing. As a child I always watched Shirley Temple movies, Gene Kelley and anything with Fred Astaire and Ginger Rogers. I was the oldest and often had a responsible role in the family and unable to take dance lessons like the rest of my friends. When I was in second grade I won a “twist” dance contest and when I was a teenager my mom taught me how to jitterbug. In my twenties I was a real Disco Queen in every sense of the world. I loved to do the Hustle and my boyfriend and I were even asked to dance on a local TV dance show. In my early 40’s when Dancing with the Stars came out I took some private ballroom lessons and loved the experience but didn’t really have anyone to practice or dance socially. Fast forward decade and I asked my husband to go ballroom dancing with me. He said no. I said I would go without him. He said yes! I have been hooked ever since and always wanted to share my passion by teaching others dance. I have had a successful fitness business and now want to embark on my dance adventure as my last “career”. I especially like to teach people who think they can’t dance, don’t have any rythmn or claim to have two left feet. My favorite dances are Rumba, Cha Cha, Tango and Waltz. My favorite people to teach are Baby Boomers (since I am one, convincing ANY man that dance is a SPORT, and wedding couples—LOVE—need I say more?